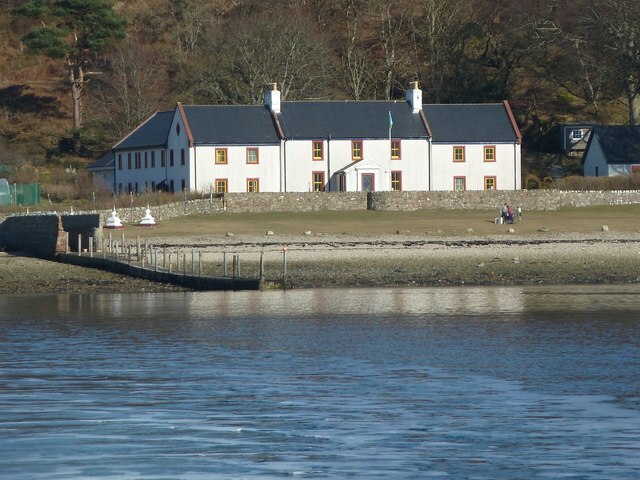 This is a view from the little ferry which plies between Lamlash and Holy Island of the Centre for World Peace and Health Link on that island. Run by the Samye Ling Buddhists, visitors can stay at the centre by pre-arrangement and attend courses there. During the recent inclement weather (of late March 2013) Holy Island was without electricity for eight days, though I would guess that the residents here were better equipped to deal with such deprivations than most. © Copyright Rob Farrow and licensed for reuse under this Creative Commons Licence.